Interested in restoring the small lettering on my 1939 halicrafters S-19R. You mentioned silk screening. I need more information on this procedure. Would you know how this is done ? 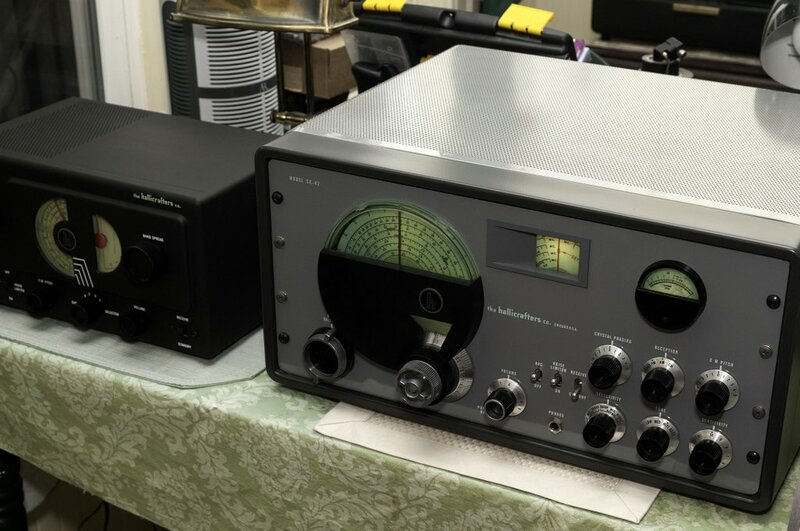 Great story and I think it’s wonderful you have something your dad loved and will be passed down in the family, better yet that it is a rare first of production radio that is now restored for posterity. Thanks for sharing you story! Welcome. 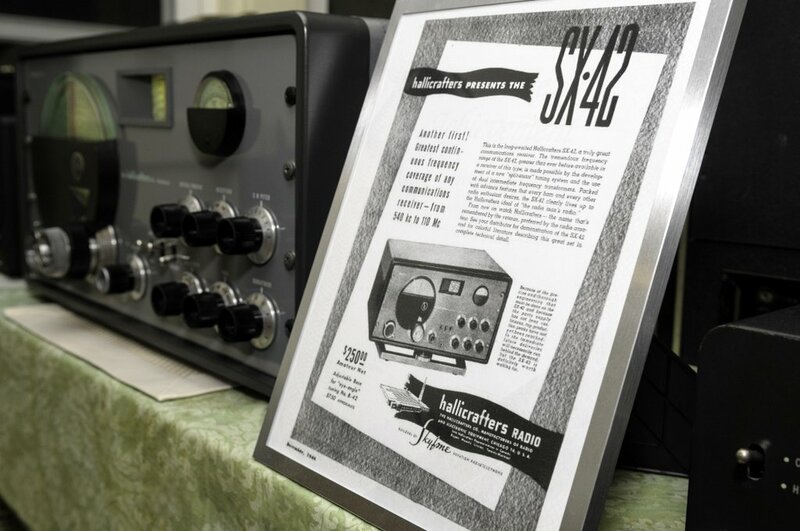 The date matched up with Hallicrafters’ Radio News ad for the initial production run of 100 SX-42’s. In all the research I have done online, I have yet to find an older unit. Of course, all Hallicrafters records are now unobtanium. But this was the strongest clue I found. When I was in Lakewood High School [1949-1952], several of my friends became hams. One friend, W8FTD had the best receiver because his father had been 9DNI [before country prefixes were added]. 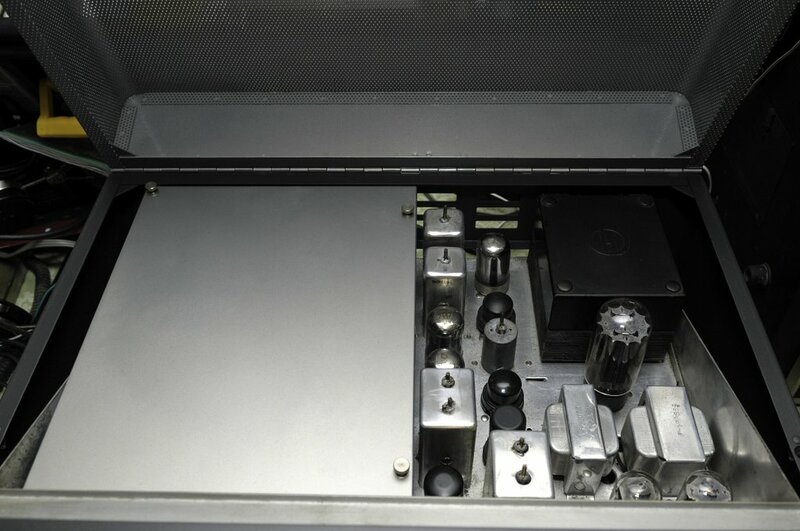 His receiver was an SX43 which was the less expensive version of a SX42. According to my Allied Radio catalog at the time, a Hallicrafters SX42 receiver cost $100 more. I still have my W8MIC ham license that I got in 1956. Yes, an SX42 was a pretty expensive radio back in the day. So proud to be its second owner, after my father. To all those who wanted to see a detailed “step by step” restoration blog, well, that’s not why I hired who I did. I hired a skilled craftsman who clearly does fine work- he is retired, and based on his previous restoration of his own SX-42, I asked him to do this job. I didn’t hire him to take photos, write a deep “in the weeds” detail. I wanted to share my love of, and the human story of, this radio. Awesome story and pics! Gorgeous! Absolutely a thing of beauty. I am so proud of the ham tradition of preserving these fine old radios for future generations. And this restoration job was literally a work of art. You are fortunate to have found this gentleman. I agree, it would be great to see a review of his methods. I enjoyed this post very much. The SX-42 was certainly groundbreaking for inclusion of both pre-war and post-war FM broadcast bands. The design is stunning. I am also fortunate to have an heirloom communications receiver. I have my Dad’s WWII Hammarlund RBG-2 among the boat anchor collection. It is a militarized HQ-120. Thank you to you, and all who are enjoying this piece. Truly in love with this historic piece of Americana. I just wanted to add that I am envious of you and happy, all at the same time! What a handsome rig and as someone who loves things like this, I am pleased to know it turned out so well! I am constantly stopping by pawn shops, flea markets, garage sales, etc. hoping to find something just like this! 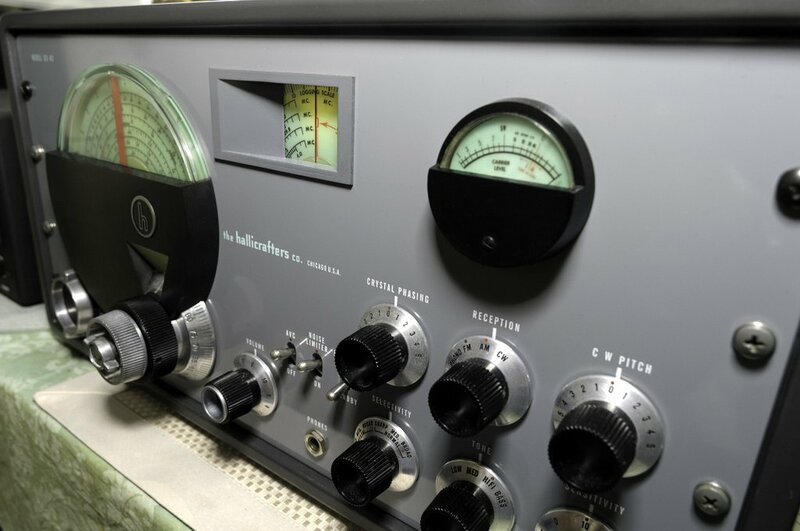 What a great piece telling the family history of this beautiful radio. Thanks so much for posting. 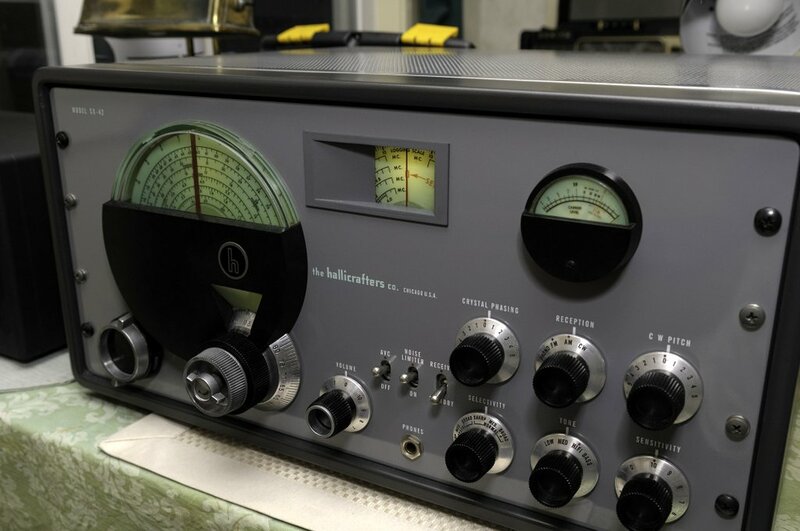 There are youtubes on restoration of old radios similar to this, most focus on the re-capping and rf alignment issues. I would like to see more on the physical part of the process, Where the innards re-plated? and the paint job how are the original lettering above the knobs ant the logo preserved? Sometimes it is just as interesting seeing the grand masters practicing their radio craft as it is the end result of their efforts. It was professionally restored by a gentleman who had previously restored his own SX42. The control panel was stripped, refinished, painted, and silk screened. All new tubes, caps, and resistors. The chassis is all original. I have also seen many videos as you described. Caps and a deep dive into alignment was not the purpose in wanting to share this story. 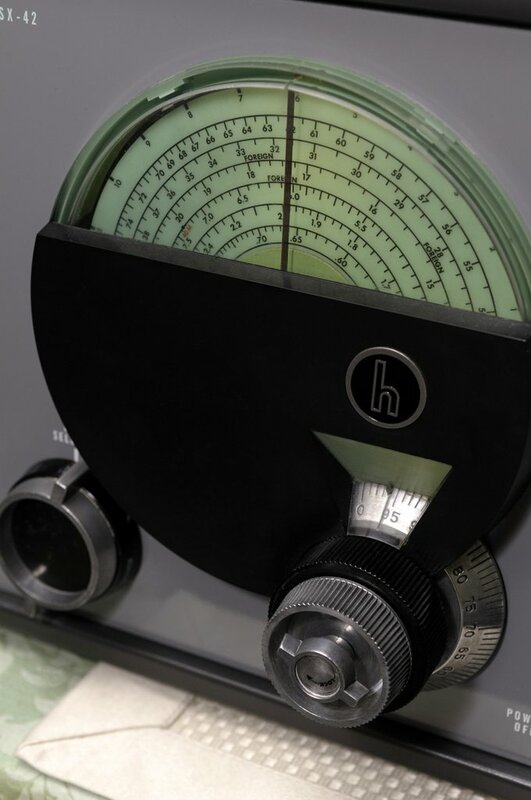 My love of the radio, and how it became a family heirloom, was. Considering the fact that this could possibly been the first unit of it’s model by itself, a difficult effort to find the right restorer for something more than a collectible but a historical treasure. 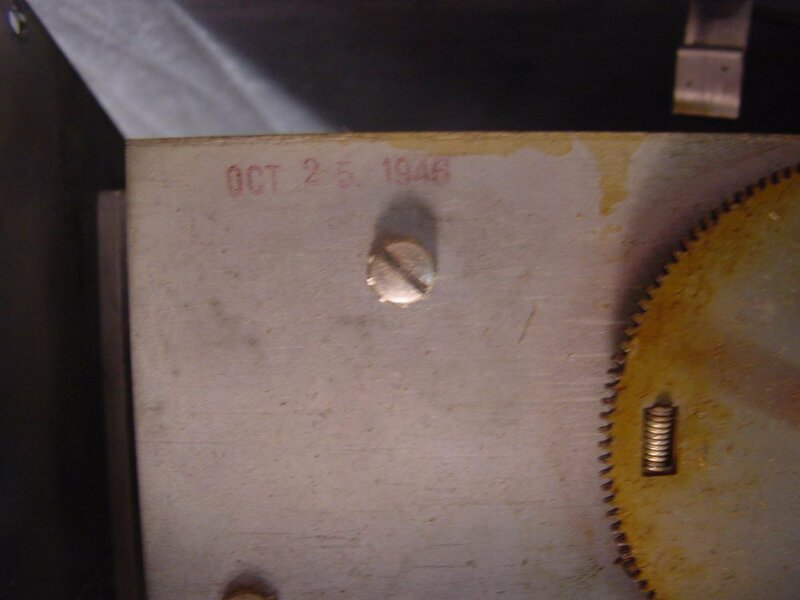 Other than the date in the picture, was there a serial number? 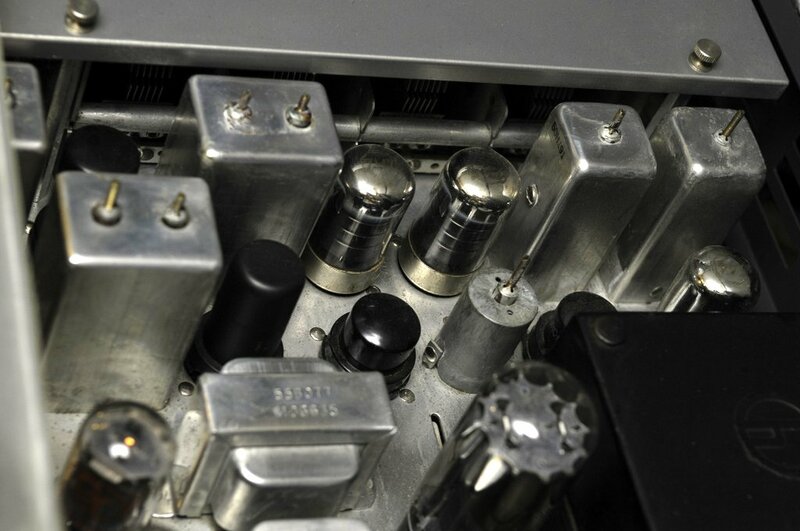 That’s a beautifully restored rig and a great part of radio history to hand down. Thanks- that was precisely the purpose of my piece. Amazingly beautiful! I am surprised how clean everything is, inside and out! Happy listening. Wow! Simply beautiful, and a great family history! Thanks for sharing! What a gorgeous rig! I gotta say, I am impressed! I absolutely love the older receivers! Thank you so much for sharing your story!